The dedicated DAP, or digital audio player market has always been one of confliction between smart features and the pure audio experience. And one could argue that, with the mass genocide of the 3.5mm headphone jack, dedicated DAPs are now more relevant than ever. But in the more affordable market, hyper-portable DAPs such as Sony’s Walkmans and Apple’s iPods have always held an important role as secondary or backup devices to be used during activity, driving or general commute. In that sense, I really enjoy my iPod Nano; it’s small, lightweight, has a fast GUI and sounds fine enough when out and about. However, iPods also come with a steep entrance price, the 7th generation model costing over $200 AUD. Combine the high price with limited file support and a reliance on proprietary software and it becomes easier to see why cheaper players from Fiio, Hidizs and Shanling are so appealing. And that’s just what we’ll be looking at today; the Hidizs AP60 is an incredibly compact and feature-rich player with a meagre asking price of just $90 USD. With the vast majority of these Chinese DAPs being significantly impaired by an average interface and plagued with software bugs, let’s see if the AP60 can best other portable budget players such as Apple’s iPod Nano and the similarly priced Fiio M3. I would like to thank Nick from Hidizs for reaching out to me and providing me with the AP60 for the purpose of review. There is no monetary incentive for a positive review and despite receiving the product free of cost, I will attempt to be as objective as possible in my evaluation. The AP60 comes packaged within a nicely presenting box featuring renders up front and specs and features on the rear. A leather textured inlet snugly holds the player with the accessories in a separate compartment just below. In addition to the player, Hidizs provide the buyer with a faux leather pouch that comfortable fits the player and a cable/earphone, micro usb data+power cable, a pair of earbuds and a screen protector. The earbuds were quite unremarkable to my ears with quite a dark sound and minimal low-end though I see them as more of an extra inclusion. Hidizs also include a few papers for warranty, service and some instruction. Overall, a nice setup, perhaps Hidizs could include a TPU case instead of the earbuds, but it’s a surprisingly premium accessory suite. This positive experience continues onto the player’s build and design. The AP60 immediately has one of the more catching designs amongst the compact budget players I’ve tested. Its sculpted bottom corner and gold headphone port are reminiscent of Sony’s flagship Walkman devices, making it the more sophisticated player compared to the Fiio M3. While the body is entirely plastic, the device feels quite solid without creeks or joining issue like the much pricier Sony NW-A25. The AP60 has a matte finish that feels a little nicer than satin Fiio M3, though the M3 feels a little denser, commanding a greater quality feel in the hand. The all-aluminium Nano feels more premium still and incredibly solid in the hand, though that device is also double the cost. *Of note, the AP60 is available in a wide array of colours (black, gold, red, blue and pink) great for households with multiple AP60 users or simply a tinge of personalisation. The AP60 is also a great size, compact and easily pocketable even within gym shorts; for reference, it’s the same size as the Fiio M3 and iPod Nano but thicker than both in terms of depth (and about 2.5x thicker than the Nano and just slightly thicker than the M3). Despite being a bit chunky, the AP60 is very lightweight and was no more cumbersome than my Nano during running and other physical activities. From the front, the AP60 and M3 both employ the same 2” screen size with the same 320×240 resolution and similarly cramped front-facing controls. The display on the AP60 is of pleasing quality with enough brightness to be visible outdoors and adequate saturation and contrast. It’s a bit cooler than the displays on the M3 and Nano, but provides better sunlight legibility closer to the Nano than the dimmer Fiio player. While the capacitive buttons on the AP60 do look more integrated into the front face than the physical controls on the M3, they have no feedback and were quite inaccurate. The d-pad and centre button were generally responsive though the touch sensor for the back and menu buttons seemed to be slightly above the printed icons, leading me to frequently press the forward and backwards buttons instead. Since the player has no fast-forward function, I found this to be quite aggravating in daily use, something I didn’t experience with the M3 nor the even more intuitive touch-based Nano. The buttons are backlit with brightness changing with screen brightness, they illuminate when the device is powered on and turn off when the player is put into sleep. When the screen is off, the touch buttons become unresponsive to prevent accidental presses. This does make pocket usage difficult though Hidizs do allow users to remap the volume buttons for convenience (more detail in usability section). Onto the physical features, the left side houses the hardware buttons within a slightly recessed facet. Placement is thoughtful and the two volume buttons are well delineated through sculpting that puts the volume up button higher and the volume down button a little lower. The bottom of the player houses the 3.5mm headphone jack in addition to the micro-usb port. On the bottom right, the AP60 as a micro sd card slot, which comfortably read my 128GB card formatted via EXFAT. My past experiences with Hidizs were with their first player, the AP100. While it was a nice sounding player, the user interface was sub-par at best. So it was great to see that the AP60 came with a completely refreshed and redesigned interface that actually proved to be one of the more intuitive I’ve come across. I should note that Hidizs did receive some software complaints during early versions however, my player came pre-loaded with a much later firmware (v1.01) that was stable with all features fully-functional. The AP60 is easily navigated via the front facing 4-way d-pad in addition to a menu and back button. Due to the similar control scheme, the AP60’s interface naturally functions quite similar to that on the M3 though it is immediately the more feature rich experience. The GUI is aesthetically pleasing with clear labels under every icon and well-judged font size, whereas the M3 had only icons that look clean but aren’t as immediately intuitive. From the main menu screen, Hidizs present the user with 4 basic menus; a folder based music browser, a category music based browser, music settings and general settings menus. Within the settings menu, the user can change various options such as language, screen brightness, Bluetooth and sleep timer. There is also a handy option to remap the volume button to skip tracks only when the screen is off (still changes volume when screen is on), which is a great way to maintain pocket usability with those capacitive buttons. There are also some basic settings to format the inserted sd card, check available storage and update firmware. The music settings are probably more pertinent to this review. At the very top is a music scan feature allowing users to rescan their music library in case of missing albums. The AP60 also has a low/high gain switch and DSD output options. Beneath is a basic 10-band equalizer with 6dB of adjustment in either direction. It’s not a hardware based eQ like that on the Fiio X3 and E17K, but it is at least as effective as those included on iPods and Fiio’s M3 with several presets and 1 custom eQ profile. The AP60 supports gapless play and breakpoint resume which I found to work well. All of these menus are outfit with a dark grey/orange colour scheme that is well presenting and was without any visual glitches or misplaced elements during my month of testing. Though the UI does lack the fluidity and animations present in Sony’s Walkman players and Apple’s iPods, navigation was quick and zippy with minimal loading even when loaded with a 128gb card full of songs. I experience no significant lag, stuttering or freezes even with some of the more bizarre file types out there. While some users have complained that it can be quite difficult to return to the now-playing screen, a long-press of the back button briskly brings the player back to its home screen with another press bringing the user to the now-playing screen (so you don’t have to individually press the back button to cycle through each screen). Transferring music to the device was just as easy as with any other player, mounting on Windows like a flash drive enabling basic drag and drop. Unfortunately, the player has no internal storage like the M3, but the option of micro SD expansion allows for far greater flexibility than the fixed 16GB of storage found on the iPod Nano; which for many will vastly limit its usage, especially with lossless files. Within the settings menu, Hidizs enable the user to decide between mass storage and USB DAC mode though USB DAC mode does require the installation of a driver, at least on my Windows 10 laptop. Being an unsigned driver, the installation process to get everything working was quite convoluted though Hidizs have a relatively straight forward video outlining the process (see video here). Upon inserting a card or ejecting the device from your computer, the player immediately scans removable storage for new files and builds a library. It’s mildly frustrating that the device needs to fully rescan your entire library on every transfer, especially since the device is inoperable during scanning, though luckily the process is quite fast. With my 128GB Sandisk Ultra mounted on the device (loaded with 111GB of music), the player took just 2 minutes to build a full library. The player also supports USB OTG and USB output for use with an external DAC/AMP; the AP60 worked fine with my Oppo HA-2 and had no difficulty reading my 128GB Samsung flash drive using the appropriate adaptor. Once loaded, the music library is easily navigated either via the basic inbuilt file manager that allows for folder by folder browsing or by a category based browser enabling users to navigate via artist, genre, album, favourites and playlist. File tags were accurately read in several languages and I didn’t experience any album segmentation that is quite common on iPods. The player only supports embedded album art, but will not display art over 1000×1000 pixels. I would like some sort of album art based browsing for my very multi-lingual music collection (the iPod Nano shows a small thumbnail next to each album for instance), but those who are attuned to a text-based browser will have no issue. The player also supports replay-gain like the Nano, a feature the Sony NW-A25 strangely omitted. Hidizs claim 10-12 hours of usage from the players’ inbuilt 1000mah battery. Playing some pink noise through the player at 40/80 volume on low gain until the player reached critical battery gave a very pleasing result of 13:20. And though this figure was achieved with minimal screen on, the quoted 10-12 hours is easily attainable in normal usage. On the note of battery life, the player does pause music when headphones are removed. A notable feature of the AP60 includes Bluetooth 4.0 with apt-x support, something that the M3 lacks entirely. This makes the AP60 one of the most cost-effective options for buyers looking for a Bluetooth enabled player with only the considerably more expensive Shanling M1, iPod Nano and NW-A25/35 supporting this feature. Apt-x is also a really great addition that enables lower latency transmission and higher quality audio so long as your headphones/speakers support it. In usage, pairing was simple and reliable through the settings menu and connection was stable without interference through my Edifier S1000DB’s and Archeer AH07’s. Range was also above average, easily superior to my Laptop and more reliable than my iPod Nano whose small antenna cutout is easily blocked. On a side note, the player does not accept commands through wired or BT remotes like the M3 and Nano, a feature that I really appreciate during runs, it would be good to see remote support in future products. The AP60 is internally identical to the Shanling M1 (though I can’t personally vouch for any similarities in their sound) promising high-fidelity audio through the adoption of imported Japanese components and the implementation of the AK4452VN DAC and MAX97220A Amp chip. The player support files up to 192kHz at 24bits in a plethora of codecs: FLAC, APE, WMA, WAV, ALAC, AAC, OGG, MP3, AIFF, DSF, DIFF, very diverse given the cost of the device. It also has a very low quoted output impedance of 0.1 ohms, theoretically making it perfect for sensitive, multi-armature iems. In real world usage, the player isn’t quite so flawless. 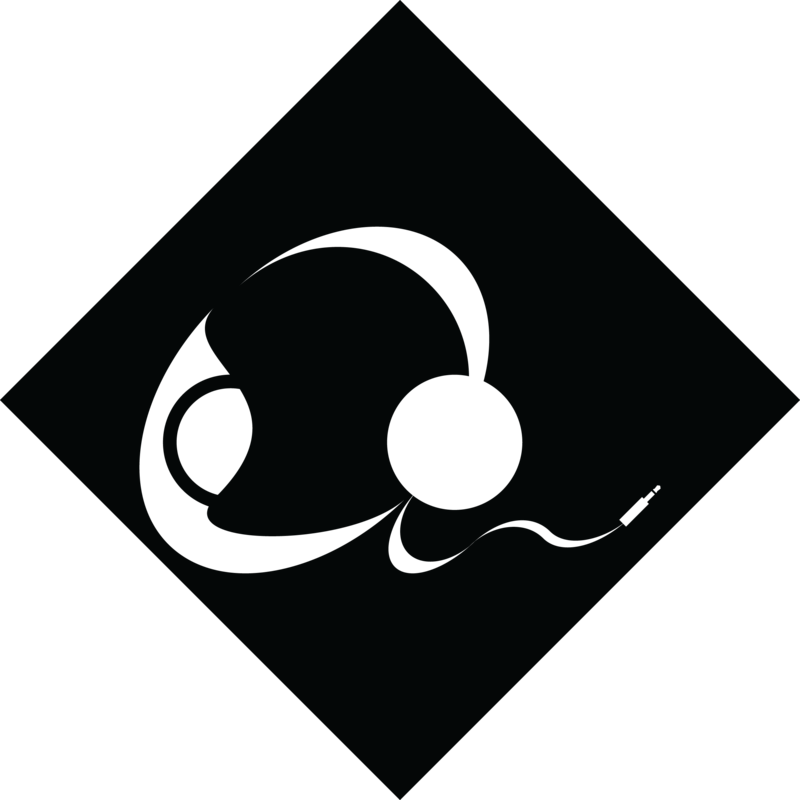 Users of higher quality sources will notice a prevalent hiss and some issues with sub-bass extension though the player does compare well to similarly priced sources in both regards. The overall tonality of the AP60 is what I would describe as balanced but slightly full-bodied. It is one of the more neutral budget players I have heard, sitting in-between the warmer Fiio M3 and brighter iPod Nano 7G. This makes it the most natural sounding player of the bunch, especially noticeable with transparent iems such as the Hifiman RE-600. I can also confirm that the player has a low output impedance, sounding tonally similar to my Oppo HA-2 when paired with hybrid/multi-driver earphones. Listening through the very source sensitive Sony XBA-40’s (8-ohm impedance, 4BA with no electronic crossover), my HTC 10 tended to roll off the extremities of the sound and lean out the bass response while the AP60, Oppo HA-2 and iPod Nano all provided a fuller low-end and more even midrange and treble responses. In my experiences and, as previously stated in a few of my other source reviews, I delineate great sources from good sources through their presentation of space. The AP60 definitely falls into the good category with both a nice sense of space and accurate if not pinpoint imaging. Starting with some more conventional comparison, I utilised the newly enabled USB-DAC feature to play some lossless files in Foobar through the AP60 and compare with the integrated Realtek sound card. Immediately, the AP60 was miles ahead, the vast majority of Windows laptops just don’t sound good even through sensitive earphones and portable headphones. The AP60 sounded far more dynamic and vastly more separated, making my laptop sound quite muddy by comparison. High-end details, in particular, were much better illuminated by the AP60 and general resolution was increased throughout the frequency range. Sub-bass roll-off and hiss were also experienced to a lesser extent than on my laptop’s stock setup. In addition, the AP60 was clearly superior sounding to the more sonically mediocre phones I had on hand at the time of review, the Nexus 5X and 6P. The 6P was immediately quite noisy and a little more compressed while the 5X sounded clean but with slight compression and notably lower driving power. On the flipside, my more proficient sources had no difficulty edging out the AP60 in overall performance. My HTC 10 for instance, was more spacious with similar imaging performance and a more dynamic sound overall while my Oppo HA-2 expanded the soundstage even further in addition to adding more hyper-realistic instrument placement. My Sennheiser ie800’s did most notably pick up the sub-bass roll-off and though I didn’t find it to be immediately noticeable, the lack of thump was apparent in stark comparison to these higher-priced sources. Sub-bass still has plenty of rumble and definition and most buyers interested in a compact $90 player probably won’t have gear capable of clearly resolving these shortcomings. That being said, and when not using a source sensitive earphone, my HTC 10 did produce better sub-bass extension with noticeably more slam and rumble in addition to a generally smoother sound. By comparison, the AP60 sounded a little more aggressive, especially in the high-end, but avoided sounding granular throughout its midrange, something that the brighter Nano is particularly susceptible to. The 10 also had a little more resolution and texture though the AP60 is still very good in this regard. Finally, moving along to more even comparison, I found the AP60 to be very competitive with the other hyper-portable sources I had on hand. The iPod Nano 7G, in particular, is one of the most popular in its class, providing a very clean sound, but also one that is overall inferior to the AP60. Listening to Michael Jackson’s “Thriller” though the Fiio EX1 Gen2 revealed slightly more soundstage space on the AP60 in addition to more accurate placement, especially noticeable during the song’s intro. The AP60 was also the more realistic sounding player when compared to the slightly warmer and less transparent M3. The AP60 was perceptibly more separated and detailed than the Nano throughout its midrange, especially upper midrange and treble. Micro-details were more noticeable on the AP60 and details were generally clearer with improved resolution, no doubt helped by its superior sound-staging performance. I also found the AP60 to sound more composed than the Nano, which tends to falter with more complex passages. The actual output power of the player is also quite impressive for its size and price, with enough volume in high-gain to amply drive my 150ohm Sennheiser HD700’s (though loss of dynamics and space were clearly evident). It provided a considerably higher maximum volume than my Nano and subjectively more current in addition to a cleaner output than the Fiio M3. The AP60 is best suited towards portable headphones and less sensitive iems due to an ever-present background hiss though it is of the less obtrusive kind. In high-gain, hiss does slightly increase but I experience no coil whine or other interference when charging or listening with Bluetooth-enabled (as experienced with the Sony NW-A25). The Nano does have the upper hand here with an essentially silent background though this does come at the cost of driving power and the M3 is similarly noisy if not slightly worse. Of course, these widely varied comparisons simply provide some perspective of the AP60’s performance and, once again, I found it to be one of the better performers amongst similarly priced gear. So while dedicated sources and audio-focussed smartphones will best the AP60, the average smartphone or iPod user will likely find more quality in the AP60’s sound than their current source. Despite having the makings of a great device, the AP60 didn’t have the greatest reception with many mixed reviews and opinions. But later into its life, and with numerous vital firmware updates, the AP60 has finally realised its potential as a stable, zippy and balanced sounding hyper-portable player. The design is pragmatic with hints of flare and customizability and the build quality is nice for the asking price. The physical controls and software are well thought out and I know many users will appreciate the player’s wide file and apt-x BT support. Of course, the AP60 is not without its shortcomings, but I would argue that the extent of the problems should dictate any rejection of purchase rather than the sheer number of issues and the AP60 is afflicted with mainly minor quibbles. Off the bat, the capacitive controls do need some work and I would appreciate a slightly slimmer design closer to that of the M3, in addition to support for remote commands. Sonically, the sub-bass roll-off and background hiss are both noticeable but certainly no worse than the average budget player or smartphone. I do feel that the majority of complaints have been overstated and most would be unlikely to detect the roll-off if not for preliminary reports from experienced listeners. Otherwise, the AP60 is sonically competitive with the best budget players and is easily the most feature-rich within its price class. In my usage, the AP60 has provided a user experience that is just as pleasing as that of the M3 and just slightly behind the more expensive iPod Nano while retaining significantly more convenience and flexibility. Verdict – 8/10, The AP60 isn’t the perfect budget player, but it does balance its compromises with incredibly useful features such as Bluetooth support, OTG and Host mode. I’m almost inclined to say that the player is at its best when paired with an external DAC/AMP through OTG or Bluetooth headphone, both of which negate its sonic shortcomings, making the AP60 a great flexible, inexpensive GUI for your favourite gear. The addition of expandable storage, wide file support and simple drag/drop file transfers does make it the endlessly more liveable device when compared to the iPod Nano, though I can still see the benefits of the iPod’s interface and slimmer profile. It is also a great alternative to the Fiio M3 for those in need of the extra features and a more capable interface. Ultimately, the AP60 provides a great feature set augmented by a pleasing software and audio experience. Do you have any experience with the Fiio X1 Gen. 2? I am looking for a budget portable source to use without hiss, as unfortunately my phone and Fiio M3 have a prevalent noise floor when using IEMs and most headphones (I am very hiss sensitive). Would you have any recommendations for a budget DAP or a good phone that is cheap on contract or outright that has a very low noise floor? Also, you take fantastic photos and your reviews are very insightful. Keep it up. I actually have the Fiio EX1 2nd Gen in for review at the moment. If you are hiss sensitive then the AP60 is not a great choice. The iPod Nano 7g is essentially silent if you don’t mind the limited capacity, it’s a very clean sounding source. Also, any iPhone will have a low noise floor, even the older 4, 5 and 6. Certain Samsung’s use Wolfson DACs, they also sound quite good though the I’m not sure whether the American models used a different chip. Although HTC are renowned for audio, they all hiss quite a lot except for the 10 which is probably the best sounding phone I’ve heard. With the 11 coming soon, the 10 is a great option and it will surely fall to a more accessible price, it’s my daily driver.